These 4x6" cards offer space for pet description, medical problems, referral info, birth date, vet phone number and clip description. The popular Pet Profile Checklist saves time and records valuable pet information. 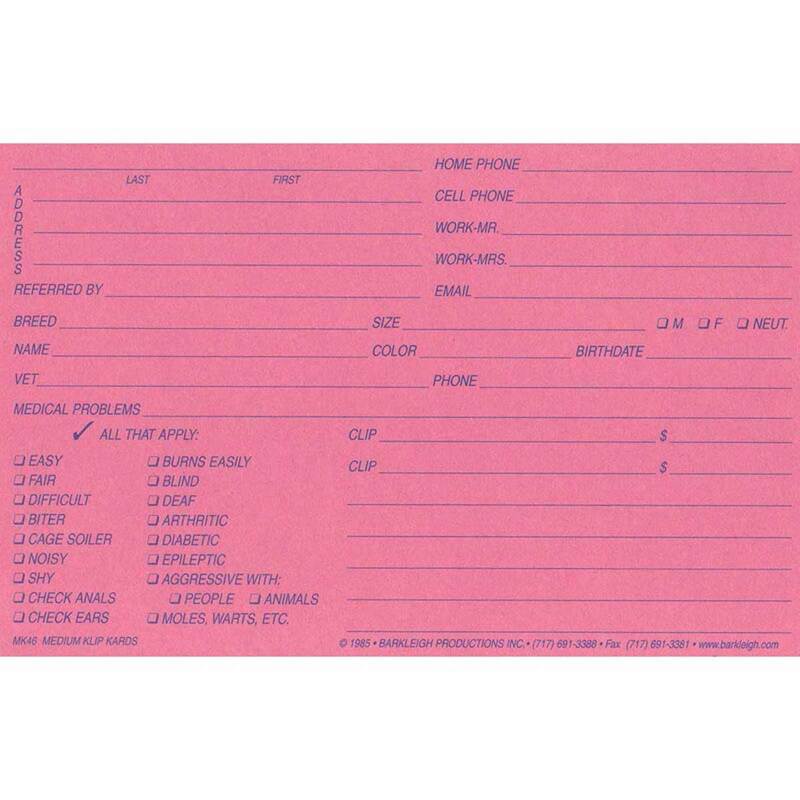 Back of card has columns for date, services, charges, and reminder date.